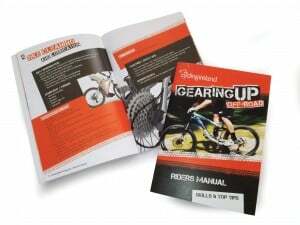 Gearing Up Off Road is Cycling Ireland’s mountain bike skills programme, designed to help you develop the skills needed to safely and competently enjoy mountain biking. It is an actioned packed and fun programme aimed at beginner and intermediate riders. The Gearing Up Off Road programme is designed to be as flexible. As well as learning cycling skills, you will also build confidence, develop teamwork and learn about respect and enjoyment for the outdoors. Some of the skills learned include: Bike check & set up, getting on & off your bike, braking & controlling your speed, using gears, shifting your weight on the bike, awareness, cornering, front & rear wheel lift, trackstand, puncture repair and maintenance, cleaning & looking after your bike and most importantly putting all the skills together so you can hit the trails! If learning all of the skills above and having fun with your friends wasn’t enough, you will also receive your own logbook to help progress through each skill session. 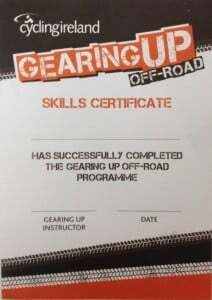 On completion you will also receive a Gearing Up Off Road certificate. The programme also includes Cycling Ireland insurance for the duration of the programme. Our beginners courses are designed to give you an insight into what mountain biking is all about and will improve your bike skills. This course is also perfect for those of you who have never taken lessons before. There is also plenty of time to ask questions. You will be riding on the Rostrevor Mountain Bike Trails and the open space of Kilbroney Forest Park. You will not be on any trails that are too technical and we encourage group members to assess their own ability before we make the decision to move to single track trails. This is an important ability to have as you will need to be able to do this when visiting other trails you are not familiar with. Group members so not have to be super fit, however, a basic level of fitness is required. Your bike must be in full working order and can be a hard tail or all mountain bike, however a suspension bike is not required. Uplifts are not required for this course. So you’ve been out on your bike on the trials and need to build on your skills or have just completed your beginners course and are ready for the next step. This is the course for you, where you build on the skills and experience you have gained over the last few months and are ready to up your game. It is recommended you have put in time on the trails, are comfortable on your bike and ready to learn more specific skills to improve your riding. You will be on the single track trails for most of this course and fire roads for skills practice. A basic level of fitness is required. The speed at which the course moves will be determined by the group however, if you have completed the beginners course you will notice a difference as this is a faster moving skills course. This course is specific to downhill mountain bikers who have all the skills and now want to advance their downhill trail riding and speed. It is not for the faint hearted and requires a full suspension bike. We do advise that you have completed the Intermediate Course prior to the advanced course. Course covers everything required to ride at speed, line selection, tackling wet roots, drop offs, jumps, off-camper techniques, tyre selection & pressure and other useful tips which you can then take away and use for leisure riding or racing events. We will look at other aspects, like race prepartion, how to present yourself on podium and offer advice for 1st time racers as well as seasoned riders. Personal training sessions can be arranged and cost £60 per person with each session lasting 3 hours. Discounted rates for uplifts are available after/before your session begins/ends on the day of your training should you wish to make a day of it. A discount code will be emailed to you when you have booked and paid in full for the advanced training course. 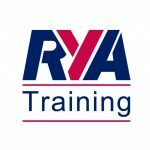 The Royal Yachting Association (RYA) is the national body for all forms of boating under power or sail, including dinghy and yacht racing, motor and sail cruising, RIBs and sports boats, powerboat racing, windsurfing, inland cruising and narrowboats, and personal watercraft. This course is an introduction to boating techniques for launching and recovering a boat from a road trailer, everyday boat handling and the use of safety equipment. 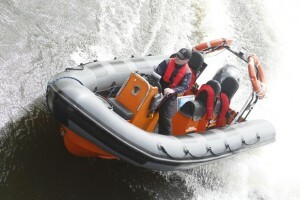 Students will receive the RYA Powerboat Level 1 Certificate, but for those who want to take up powerboating or require a licence for insurance purposes, we strongly recommend the full two day combined RYA Level 1 & 2 Powerboat Course instead. Please note if you are taking this course and intend to apply for an ICC, this PB Level 2 course will allow you to apply for a coastal ICC for Power up to 10m. 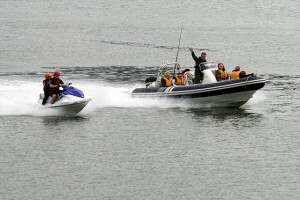 Personal watercraft can be single-seater machines or can take two or three people. They are fast and exciting, but need to be handled with care. Whether you just want to have a go on holiday or buy your own machine, our Personal Watercraft course will teach you how to get the best from it. This course is designed for first time and experienced riders alike. Increasingly this certificate is required for launching in UK harbours, but is also needed if you want to use your PW abroad.